As understated as the cleaning industry might be perceived by the general public, it doesn't mean that you have to shy away from going online. 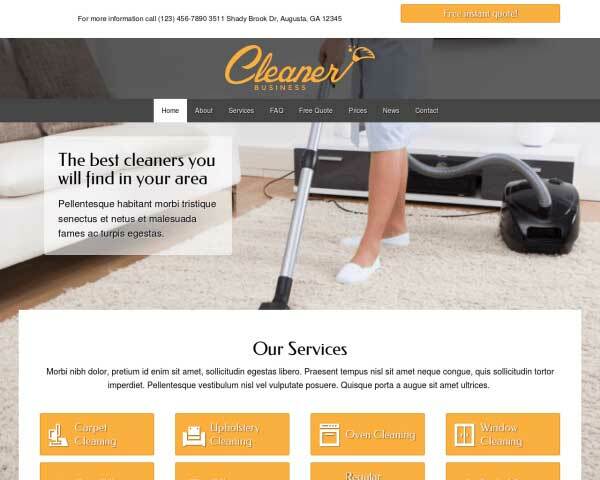 Whether you already have a website or you're just starting out, the Cleaning Company WordPress theme is a low cost, low threshold option to have an outstanding business website. Nowadays there's no better way to expand any business than via the internet and a website. And while you might be in the business of running a professional cleaning company, we're in the business of creating great looking business themes. The Cleaning Company WordPress theme is no exception to this rule. Moving beyond the obvious it has a look and feel that is both attractive and lean, while at the same time setting your business apart from the rest. But we always take our themes much further than just the layout and fully customizable color scheme. it's boast an eye-popping call to action to invite people to request a quote. 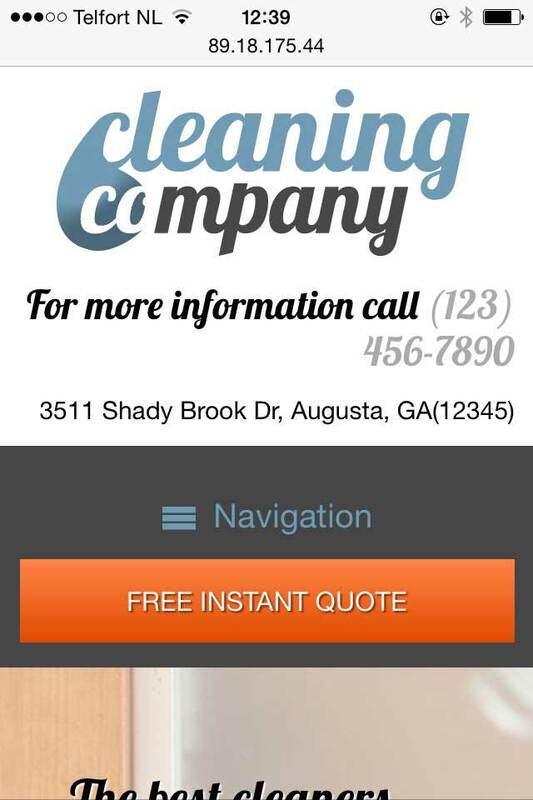 Naturally your phone number is prominently placed in sight no matter what device your website's visitors use. Your main services fill up the bulk of the homepage and redirect people to pages where they can find more information. And we top it off with dedicated sections for pricing, news articles, an FAQ and a contact section. The theme's editor makes sure you can extend the site as you see fit. A site which will be in place in its entirety upon activation. And automated support and updates are your failsafe your website works and stays working. It's WordPress so the Cleaning Company WordPress Theme can't do without a good blog overview, which also is an excellent way to attract more visitors. 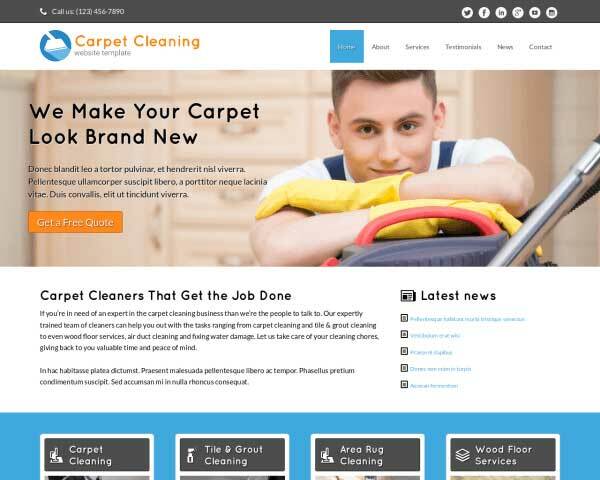 One of the Cleaning Company WordPress Theme's main calls to action leads visitors of your website to a page where they can fill in an online quote request form. Easily customize the field as needed. 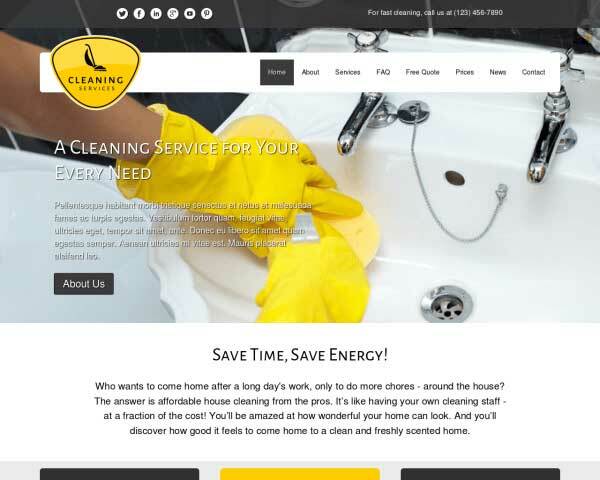 The Cleaning Company WordPress Theme helps you get your cleaning services online fast, saving you valuable time so you can focus on what's important. 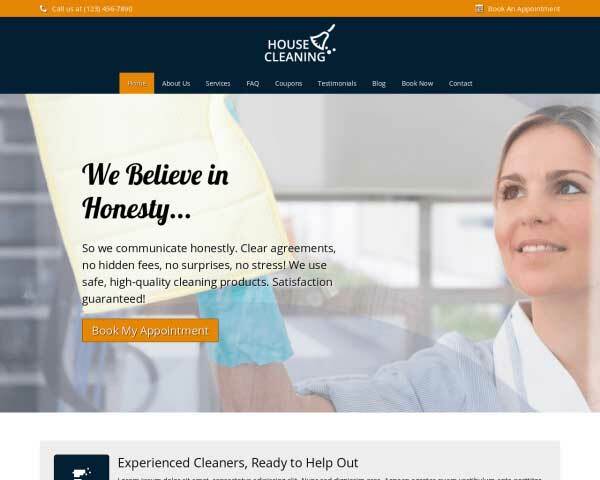 Each page of the Cleaning Company WordPress Theme features eye-catching calls to action that encourage visitors to take the next step and get in touch. The feature-rich contact page on this WordPress theme for cleaners includes an integrated Google map and a built-in contact form. 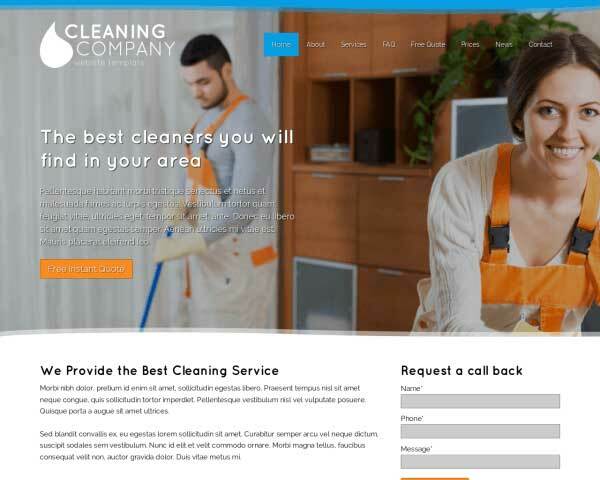 The Cleaning Company WordPress Theme comes pre-designed with inviting colors and a clean layout, all that's remaining is to add your details and you're ready to take the cleaning industry by storm! Offer answers to the most frequently asked questions on the Cleaning Company WordPress Theme's FAQ page. It's filled with placeholder text and ready for your own content. You want your rates to be shown in a way that informs people correctly. The Cleaning Company WordPress Theme has easy to set up tables based on csv files. And, on top of all this, they are responsive so can still be viewed on mobile devices. 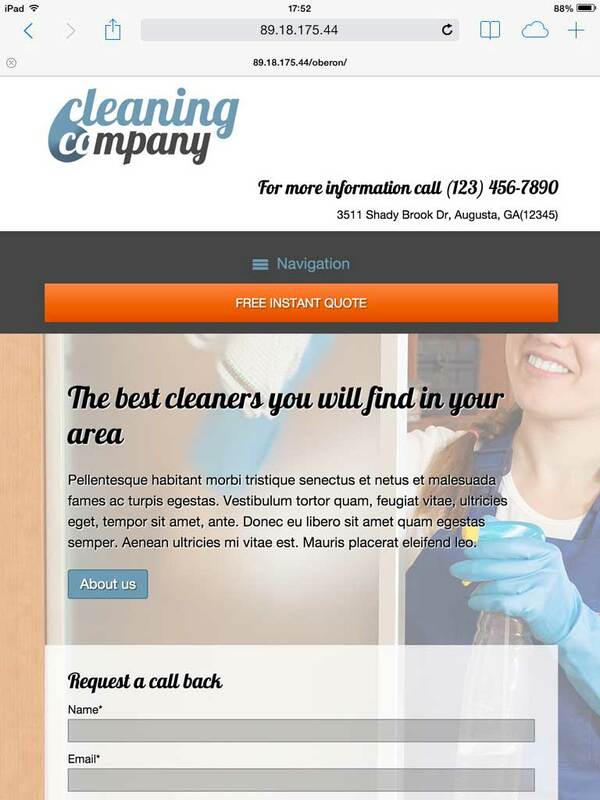 A full page for each of your services is already set up and ready for your text and other content when you build your website with the Cleaning Company WordPress Theme. Trigger people to follow your brand on your social channels like YouTube, Twitter and Facebook. The Cleaning Company WordPress Theme will display all your social channels on your website. Include recognizable logos from your professional associations, awards and top clients to inspire trust in your services. Just replace the icons with your logos. A device being used to view your website should not distract possible clients from the message you want to convey. A tiny and cluttered look for a cleaning business is not a great starting point. 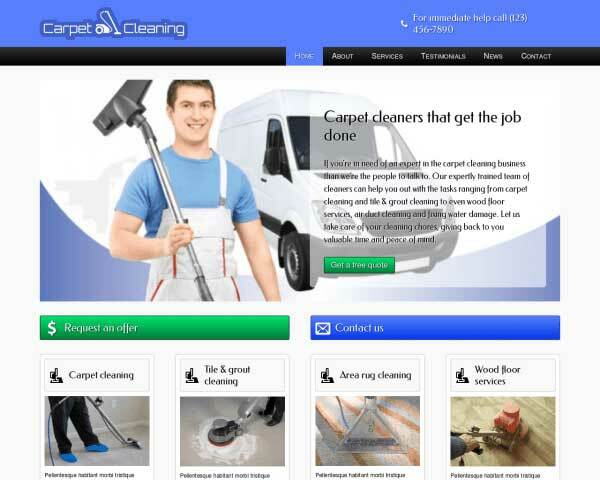 With the pristine looking responsive Cleaning Company WordPress theme you have the right equipment for the job. Your services and main call to action remain perfectly readable and placed in the right hierarchy no matter what device is used, now or in the future. And you never have to think about the underlying mechanism because it'll do the job for you upon activation.